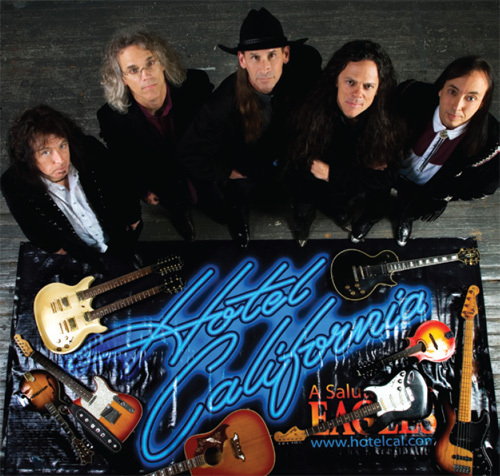 Hotel California – “A Salute to the Eagles” – With their extraordinary vocal and musical talent, Hotel California faithfully and accurately reproduce the sound of The Eagles while recreating a classic sound which transcends the boundaries of Rock, R&B, and Country. Authorized by The Eagles, this highly respected show delivers a modern, action packed, fully produced performance. Their great reputation and audience acclaim stamp this as the ultimate salute. All live and using no backing tracks, their show of excellence has taken HOTEL CALIFORNIA to a level of international recognition normally reserved only for gold and platinum recording artists.